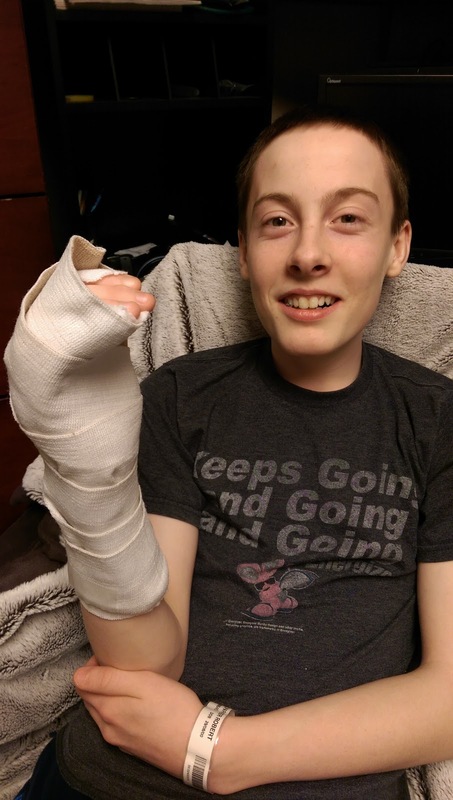 Seidlitz Family Blog: How does one get a "boxer's fracture" at school? And it is NOT a badge of honour. Thursday, Parker was having his first bad day at school since grade 5 on Thursday. He was irritated at the world and another kid decided that this would be the perfect day to further irritate Parker. Bad choice on both parts. Parker ended up suspended until Monday, the other kid had a bloodied nose, and Parker has a broken bone. Of course, he didn't really complain until after his hockey game this afternoon in which he smacked into the boards and had to come off the ice! I say he very much deserves it.